Our sheepskin insole has its unique multi-layer design. The top layer of the insole is made from genuine high quality Lamb's wool. The middle layer is made of 100% real sheepskin. The bottom layer is a felt sole. It is an ideal shoe inserts for rain boots and snow boots and any other winter shoes. The soft and cozy lamb's wool keeps the body temperate; the real sheepskin promotes better air circulation; the felt sole blocks the cold from outside. 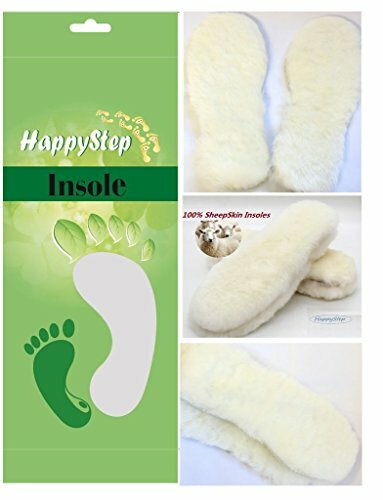 ALL IN ONE, HappyStep® lambswool sheepskin insoles build up a warm and cozy environment inside your shoes and provide your feet all day comfortable. 100% Satisfaction Guarantee! You'll totally love it or you get all your money back.